With Open Mind, even the most chaotic ideas can be represented. Open Mind offers you full control over where ideas should be and what connections should exist between them. 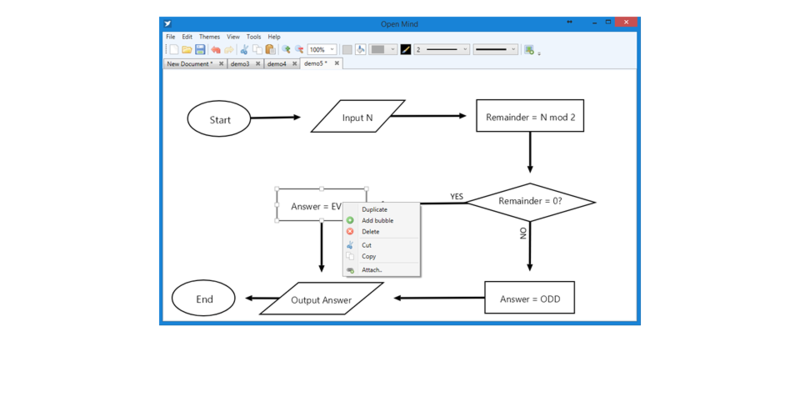 Open Mind is deliberately intended to be able to create beautiful diagrams with minimal effort from you. Formatting your diagrams with Open Mind’s wide selection of themes and shapes is both swift and easy to do. Whether you’re creating a brainstorm, flowchart, mind map or just putting ideas to paper, Open Mind can help you with its friendly and intuitive interface. How can Open Mind help me? Intuitive tools allow for complex ideas and topics to be broken down into key points efficiently and easily. Anyone can learn to use our software in a matter of minutes. Mind mapping has been proven to be an extremely effective way to revise complex topics. Using software, such as Open Mind, removes the hassle of drawing by hand and means you can spend more time on what’s important. Want to present your ideas in a more exciting way than a PowerPoint presentation? 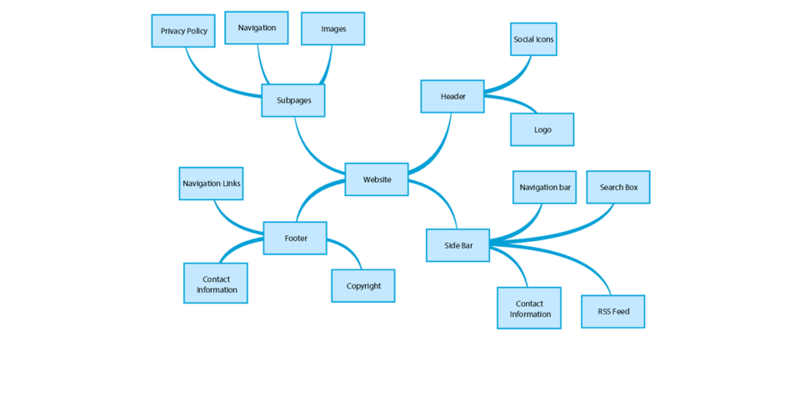 A mind map, flowchart or brainstorm can be an impressive way to convey topics where the connections or flow between ideas is important. Automatic software installers are available for 64-bit and 32-bit versions of Windows. Open Mind comes with automatic software updates as standard. Seamlessly sync your documents across multiple devices using Dropbox cloud storage. No need to manually copy files or split screens. Theme library, 60+ shapes, spell checking, document exporting, automatic layout program.